The Wachowskis' upcoming sci-fi epic, 'Jupiter Ascending,' looks and sounds like something taken straight from Patton Oswalt's geeked-out filibuster on 'Parks and Recreation,' and we're into it! A new photo from the film has emerged, featuring Channing Tatum in his new action-packed role as a half-wolf, half-albino warrior, Caine. Tatum stars opposite Mila Kunis, who portrays a seemingly regular janitor living in a visually astounding (a given trait from the Wachowskis) futuristic world but is fated for much greater things. We've already seen the two in action in the first trailer, which debuted back in December, but EW has just unveiled an official photo. A lupine Channing Tatum in mid-jump and mid-shootout brandishing a blazing shield? Sounds like a new desktop background. 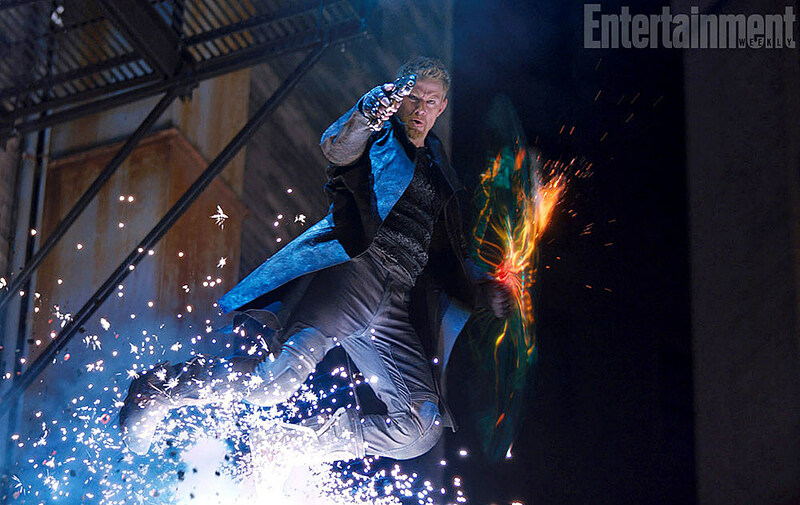 'Jupiter Ascending' hits theaters this July 25, and you can check out the first official photo in hi-res below.